Living historian representing French, British and Colonial forces as well a civilians were present. 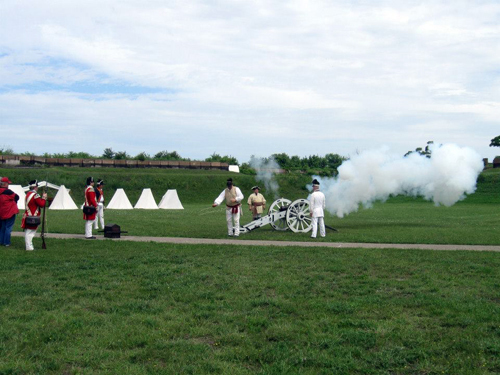 Both infantry and artillery were displayed as well as a fife and drum corps. It was a great display of life in Michigan before our Fort Wayne was built. 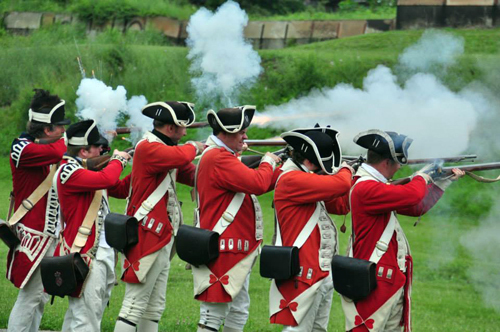 Forces of the Crown (British) demonstrate musket drill. 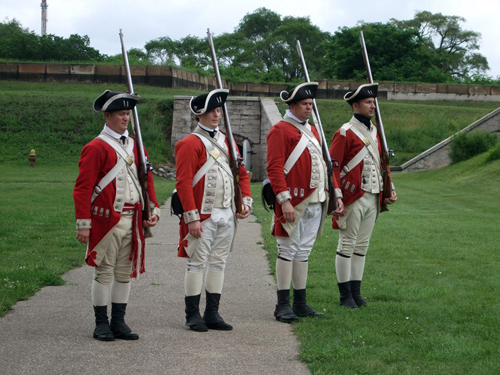 Two more soldiers in different uniforms are added for the firing demonstration. 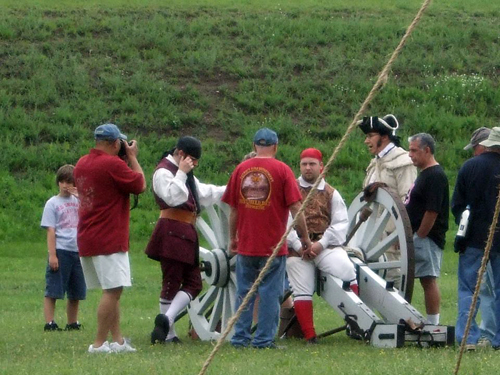 While spectators and infantrymen watch, an artillery crew fires the cannon. 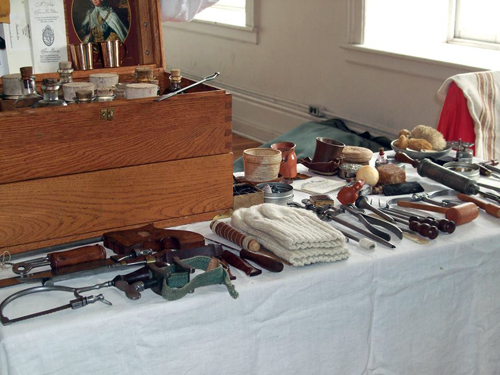 A static display shows items used by a member of the 2nd Pennsylvania, an important American regiment in the Revolution. Doctors didn't have all the supplies ours do today. Here is a display of medical tools. For living historians and us at the HFWC, this is what it's all about. Guests of all ages getting up close to see, ask, learn and enjoy our history. 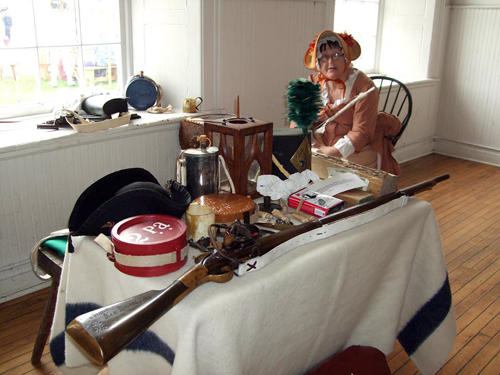 Music was a huge part of a day in the life of an army. 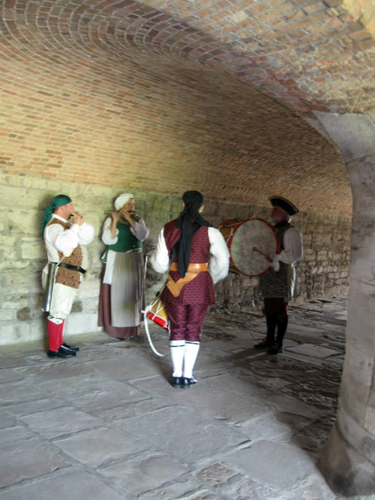 Here, a fife and drum corps rehearse in the sally port.